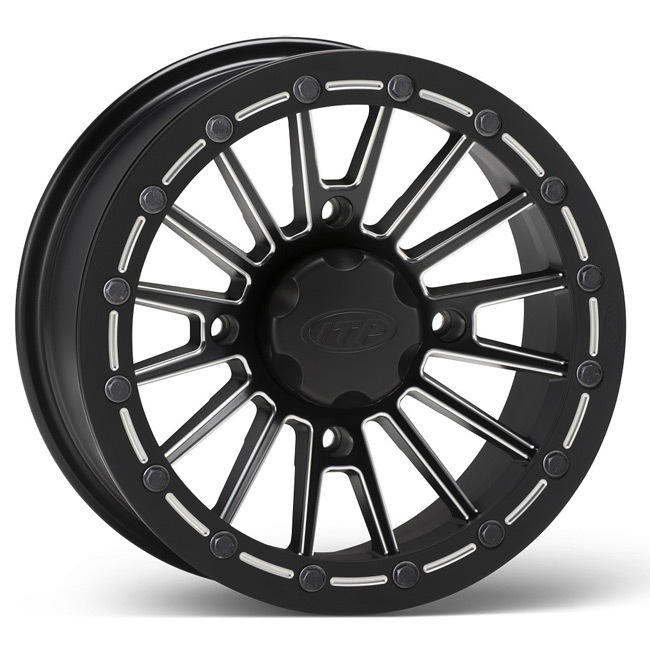 The ITP "Severe Duty" (SD) Single Beadlock wheel has a modern sixteen spoke design that features a treandy black powder coated finish with milled edges. It carries the ITP exclusive "Rock Armor" reinforced inner wheel lip to provide owners with premium wheel strength against breakage from debris. This wheel is also backed by ITPs limited lifetime warranty against bending or breaking. 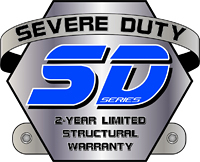 The SD series wheel uses an "advanced manufacturing process" that molds a single piece of lightweight, heavy duty aluminum alloy into a light yet strong wheel. Wheels are sold individually. Prices vary by wheel size, and start at $144.95. Center cap is included with each wheel!